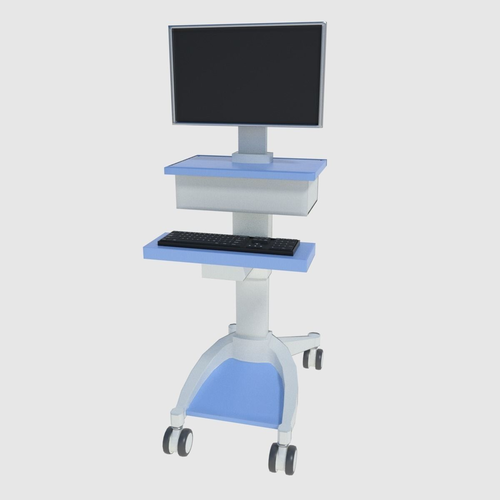 Realistic medical computer cart made in Blender and rendered with Blender cycles rendering engine. Useful for a hospital or surgery setting. Includes one low poly cart and one high poly cart. Low poly cart may be used for games whilst the high poly cart may be used for detailed animations. See description for more details on each item. 2K Textures included. Colour, bump map and spec map.